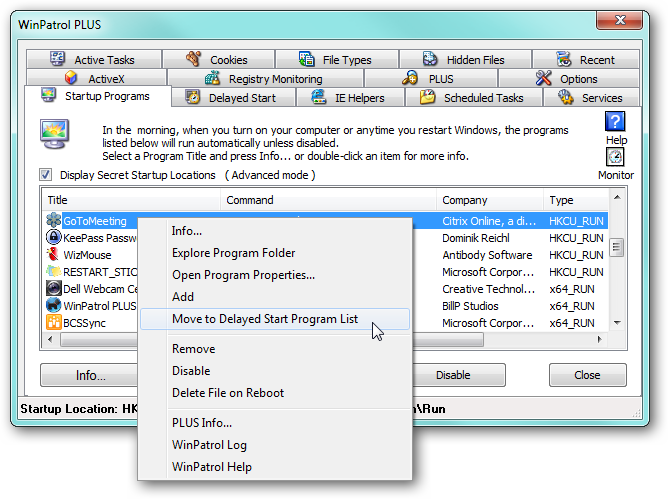 You are probably very familiar with the startup programs function of Windows. 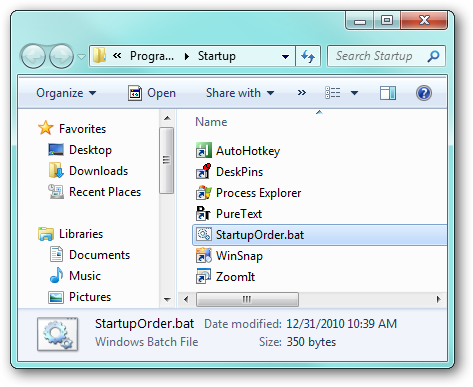 While you can specify the applications you want to launch at the start of Windows, the ability to control the order in which they start is not available. However, there are a couple of ways you can easily overcome this limitation and control the startup order of applications. Note: this tutorial should work for any version of Windows, including Windows Server. There are most likely several utilities which provide this functionality, but we are going to discuss using the popular WinPatrol monitoring application which features a delay startup control. As you can probably guess, this function allows you to specify a certain amount of time to wait before opening the respective application. WinPatrol makes this process very easy. On the Startup Programs tab, locate the applications you want to delay the startup for, right-click and select the “Move to Delayed Start Program List” option. 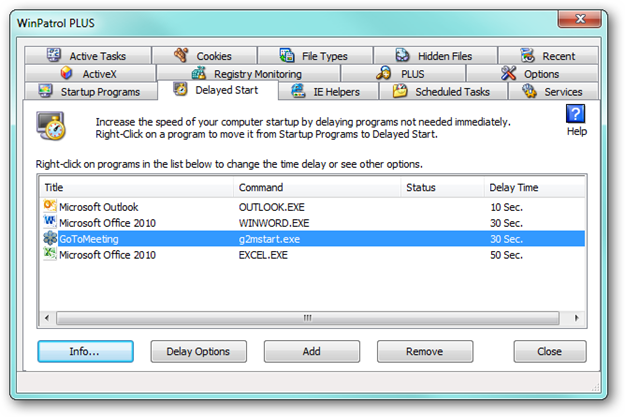 After selecting this option for all the target applications, click the Delayed Start tab. Here you can add additional applications manually and set the respective delay by highlighting the target entry and clicking “Delay Options”. Now set the delay time and any respective parameters. Since WinPatrol initiates the launch commands, the delay time is respective to when it opens. So, of course, you must have WinPatrol as a startup application itself (which is the application default). If you do not want to install or rely on “yet another application” or you simply want to get a bit geeky, a batch script can be used. Anyone can do this as it is very easy to setup and requires no batch programming knowledge. 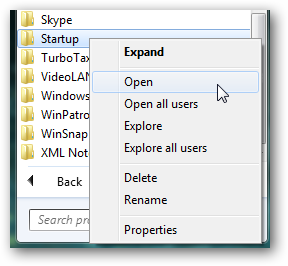 Open your Windows Startup folder by going to Start > All Programs, right-click on the Startup folder and selecting Open. When the listing of programs appear, create a new text file named “StartupOrder.bat”. Edit the StartupOrder.bat file in Notepad to add the delay time and applications you want to launch. For this task, we will need the use of two batch commands: TIMEOUT and START. All you need to do to get your custom StartupOrder.bat script working it combine the delay (TIMEOUT) and launch (START) commands in the order you want them processed. You can use this example to get you started and customize as needed.